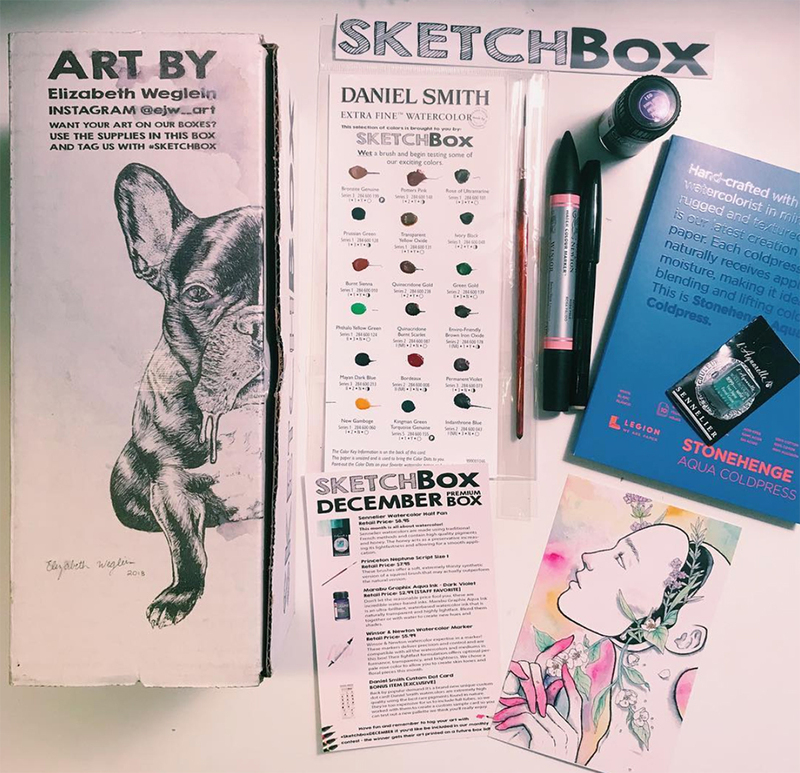 This watercolor box is packed with so many of our favorite items! Included is a Daniel Smith custom dot card that allows you to sample a wide variety of their extremely high-quality pigments, a Sennelier watercolor half pan, Maribu Graphix Aqua Ink in dark violet, a Winsor & Newton watercolor marker in pale rose, a Pentel fiber-tipped Sign pen in black, a Princeton Neptune Script brush (size 1), and a Legion Stonehenge Aqua Coldpress 5x7" block. Photo cred @ejw_art.